Extending once again its supremacy in the South American region, Brazil came up victorious at the 43rd edition of the Area Championships that ended on Sunday 24 July in the Colombian city of Cali, at the “Estadio Pascual Guerrero”. Since the 1974 championships that took place in Santiago de Chile, Brazil has dominated the regional action, and this time its athletes won 25 of the 40 contested events. Colombia was the second most successful nation with 10 golds, while Argentina had 4. The morning was totally occupied by the throws, with 4 finals held at the adjacent “Estadio Panamericano”. That proved to be a great venue for Argentina, which took the victory in the men’s Discus and both men’s and women’s Hammer. Twenty-seven year old from Rosario, Jorge Balliengo, won the Discus setting a new Championship record with a 60.97m mark. Balliengo is having the best season of his career after setting the area record in May (64.69m) so he came to Cali with the gold medal in mind, and obtained it with a solid performance. This South American title is the seventh won by an Argentinean at the Discus, but is also Balliengo’s most important achievement as a thrower. His teammate Juan Ignacio Cerra won the Hammer with a 72.03m toss. The 28 year-old from Santa Fe took his fifth consecutive title, to extend the Argentinean tradition at this event, where the light-blue athletes have been unbeaten since 1985. Now, Cerra is the man with more victories at the event, surpassing compatriots Federico Kleger, José Alberto Vallejo and Andrés Charadía, who all have 4 victories. Finally, University of Georgia student Jennifer Dahlgren, also took the women’s Hammer, with a 65.05m throw, also setting a Championship record. Dahlgren is the area record-holder with 67.07m, and had good company at the podium. Colombian Johana Moreno, second, improved her national record, while Venezuelan Adriana Benaventa was very close to achieve the same feat. 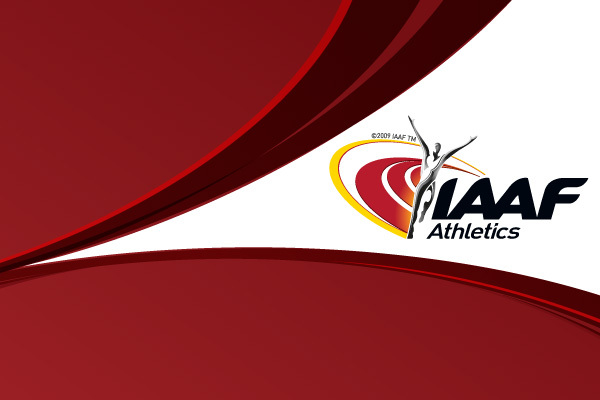 Balliengo, Cerra and Dahlgren will be representing their country at the 2005 IAAF World Championships in Helsinki. The remaining throwing event from the morning - the Discus - was taken by Colombian Luz Dary Castro, who won her first title with a 53.49m performance. In the men’s Javelin held in the afternoon at the “Pascual Guerrero”, Brazilian Luiz Fernando da Silva was the champion with 79.40m. For the 34 year-old from Santos, it was his 3rd title, with a performance only 10cm short of his own championship and national record. Brazilian Fabiano Peçanha and Colombians Rosibell García and Bertha Sánchez were among those who obtained individual double-victories in Cali. In total there were five athletes who did it. The remaining two are Brazilians André da Silva and Lucimar de Moura, who won 100 and 200m. Peçancha and García had taken the 1500m races on Friday, and on Sunday they triumphed in the 800m. Peçanha, from the State of Santa Catarina, who’s also qualified for Helsinki, repeated his victory from 2003 with a good 1:47.02 clocking to win by more than a second over Diego Diniz Gomes (BRA) and Jhon Chávez (COL). García, from the Department of Valle, also had a comfortable win in 2:03.28, over Venezuelan Jenny Mejías, who set a national record, and Brazilian Perla Regina dos Santos. Bertha Sánchez, also from Valle, won the gold in the 5000m in 16:47.03, after taking the victory in the 10000m on Friday. The men’s 5000m belonged to Ecuadorian Byron Piedra, who was victorious in 14:12.24. It was Ecuador’s second gold medal in Cali (the other by Jefferson Pérez), third at the distance (after Rolando Vera won in 1987 and Silvio Guerra in 1999), and first ever by Piedra. Thirty-five year old veteran Gilmar Mayo, a Colombian from Antioquia, won his fourth title at the High Jump with a 2.22m clearance. The South American record holder (2.33 from 1994) and also a two-time finalist at the IAAF World Championships, showed all his class and experience to set his best performance of the last 3 years, and win an event that had no clear favourite. In the women’s Triple Jump, Brazilian Gisele Lima de Oliveira a former student at Clemson University took the victory with a 13.90m jump over compatriot Keila Costa and Colombian Caterine Ibargüen, who set her second national record of the weekend, after her 1.93m in the High Jump. The final 2 events were the 4x400m relays, and they were both won by Brazil. In the men with a 3:04.15 time, with a team composed by Luis Eduardo Ambrósio, Sanderlei Parrela, Thiago Chyaromont and Wágner Souza, while in the women the clocking was 3:29.24, and team was formed by Lucimar Teodoro, Maria Laura Almirão, Geisa Coutinho and Amanda Fontes Dias.